I’m going to rant for a minute because of something I read earlier this summer in The Boston Globe: there is something inherently wrong about the fact that the co-founders of Google—Larry Page and Sergey Brin—each added $4 billion to their fortunes one day in July when their stock shot up 16 percent in one day. I suppose with profits like that you can afford to change your company’s holding name to Alphabet! But that’s what I read, right there on the paper’s respected Business pages, a reprint of a story originally published by Bloomberg News. Yup, just another day on Wall Street. One day and $4 billion richer. Then, there’s the rest of us on Main Street trying to balance our checkbooks, shop wisely, and pay the rent, or mortgage, or tuition bill on time. I’m for capitalism as much as the next guy and I was literally lost last summer when I spent three weeks in Africa without the Internet and couldn’t ‘Google it’ at whim. But really, $4 billion in one day? The rest of us will have to settle for profits a little less heady than the Google guys, and a method of saving a little less risky than founding a start-up technology company. So, instead of getting mad that these entrepreneurs made more damn money in a day than most of us would see in multiple lifetimes, I say, invest in yourself. Start small and grow large. Start saving your $5 bills now. Save Money Fast With Fives! It’s time for me to take a breath, relax, and chill out in these waning days of summer. Maybe the same is true for you. Worrying is part of my DNA, unfortunately, but fortunately I know that in most cases, it’s a wasted and useless emotion. Right up there with guilt. It doesn’t matter what I worry about—my grown kids, my husband’s health, (which is excellent, BTW), my finances (also in terrific shape), my job, friends, plans for vacation, you name it, all good. Still, I worry. Why? What good does it do me to focus my energy on other people’s negative energy? Absolutely none. We’ve all heard it before. What other people think of me is none of my business. The secret to reducing our worries is to celebrate what’s good and positive in our lives. Adopting an attitude of gratitude for what we do have is the first step to discarding the fear associated with what we don’t have. Same is true of the hurt that comes when another person judges or criticizes us, instead of focusing on our good points. Fear gives away our power. Gratitude multiplies the good feelings inside. Want more money in your life? Be thankful for the abundance and blessings you already have. 1. I’m thankful for the hubby, daughters, sons-in-laws and Chocolate Lab that sustain me. 2. I’m thankful for the daily excuse (this blog) to write again. 3. I’m thankful for all the friends and readers who’ve made their way to my blog at http://www.savemoneyfastwithfives.wordpress.com. 4. I’m thankful for my job as a college professor and all the lessons my students have taught me. 5. I’m thankful that I’ve saved $36,000, all in $5 bills. How about you? Please join in on the conversation or else I’m going to worry that you don’t like me, or my blog. Have a great week and thanks for stopping by. Not gonna lie. I’m super excited to be guest blogging today at www.LenPenzo.com. His financial blog was named by Kiplinger as the “Best Money Blog” in 2010 and 2012. Thanks for the opportunity, Len! ‪ Check out his blog. It’s wonderful! This summer, I’ve posted 10 columns on this blog and have had 817 visitors. I know, baby steps in the big, bold world of blogging, but I’m pleased with the early results. Readers span the demographics and today I’d like to focus the discussion on Millennials. I love Millennials for many reasons, including my daughters and sons-in-law in this group, and also because of the hundreds of students I’ve known since joining the faculty at Lasell College seven years ago. So, if you were born between the early 1980s to the early 2000s, I’m talking to you. 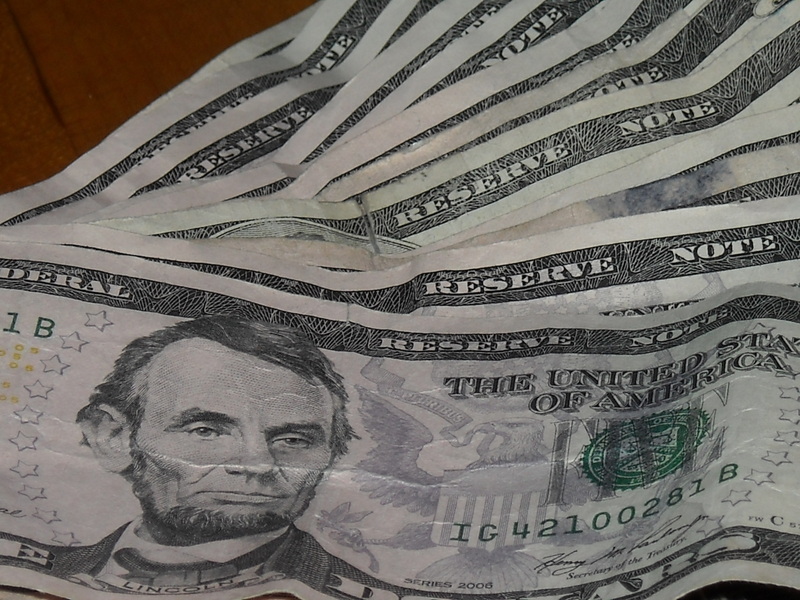 What benefits would you notice if you started saving $5s? For starters, it might help you use plastic less and cash more, giving you a super start on understanding where your money goes. It’s different spending five $20 bills than making a $100 purchase with a debit card. When cash leaves your hands, you feel it more than when you swipe a card, you know there’s been a loss. You’ll also get a charge when you get a $5 back as change knowing you’ve added to your nest egg. Let’s address another issue—student loan debt—because for many Millennials, this is driving them either to credit card debt or moving back home with their parents. What if you started saving your $5s and at the end of every month, use your stash to pay down a little more of your principal. According to a recent story in USA Today, http://www.usatoday.com/story/money/personalfinance/2014/11/19/millennial-money-habits-survey/19169671/, Millennials want to save but can’t. In a survey of 1,001 people, 18-34 years old, Millennials say they do a good job living within their means, yet more than one-third still get financial support from parents, live pay check-to-pay check, and don’t save. In another article, The Wall Street Journal reported that Millennials are saving at a rate of -2 percent. To be fair, there’s good reason people under 35 feel strapped, including trying to pay off student loans, on average around $30,000. Add the expensive cost of rentals in large urban areas, groceries, health care, credit card and auto loan debt, and you can see why so many people say there’s nothing left at the end of the month. This is where saving $5s comes in. What if you started using more cash for discretionary spending, if for no other reason than you are motivated to save money and you promised yourself you were going to give it the old college try. I promise, pay for a $3.50 latte with a $10 instead of your debit card, and you’ll get a double rush—the joe and the $5 back as change. Do the same thing when you buy a magazine at the kiosk on your way to work, or at the corner wine shop on your way home. The $5s will add up and with a bit of easy, forced savings, you might even get a more detailed picture of where your discretionary income goes. Might you buy the bottle of wine that costs $11.99, instead of the one for $16.99 just to get a $5 back if you paid with a $20? And what would be wrong about making a more frugal choice and foregoing a little luxury now and then? I’m not asking you to cut up all your plastic, although the time I did it more than 20 years ago, my husband and I were burdened by credit card debt. We have some cards again today, which we use for big purchases, like appliances and airline tickets. But here’s the difference. We now pay the balances off every month, have no credit card debt, and since we use a lot of cash for discretionary spending, have saved more than $35,000 just in $5 bills. Talk to me, Millennials. Are you making ends meet? Are you saving any money? Are you willing to take one tiny step forward by using a bit more cash and saving every $5 bill you get in return? Leave a comment and get the discussion going. Happy Monday. Wishing everyone a great week. If you’re intrigued by numerology, or simply ready for new information to help you save money, I hope the power of the number five will inspire you…to save your $5s. Here’s a short list of examples of the number 5 showing up in religion, science, culture, sports and entertainment. Who knew? • In Greek Orthodox Christianity, the number five symbolizes the Holy Spirit as a bearer of life. • The Book of Psalms is arranged in five books. • The Torah contains five books. • Muslims pray to Allah five times a day. • In Catholicism, Jesus had five wounds on the cross. The rosary to the Blessed Mother contains five mysteries. • In the Bible, the small King David killed the giant Goliath with five pebbles. • God created animals and humans on the fifth day. • Almost all amphibians, reptiles, and mammals with fingers and toes have five on each extremity: five fingers on each hand, five toes on each foot, five extensions to each trunk (head, arm, arm, leg, leg). • There are five oceans in the world—the Arctic, Atlantic, Indian, Pacific, and Southern. • Humans have five senses—-touch, smell, hearing, sight, and taste. • The most severe hurricanes are rated Category 5, as is the most destructive tornado, an F-5. • Ancient Mayan people thought of 5 as the symbol of perfection, placing a fifth point at the center of the four points of their compass. • There are five rings in the Olympic symbol to represent the union of five major regions in the world: the Americas, Asia, Africa, Europe, and Oceania. • In Tarot card reading, one card is the Five of Wands. Others bear the symbol for the Five of Cups, the Five of Swords, the Five of Pentacles. When an experienced reader analyzes the selected cards, she will tell you that picking five cards means it is time to take action, either physical or emotional. • Baseball greats Joe DiMaggio, Johnny Bench, and Brooks Robinson all wore the number 5. • Bill Walton and Kevin Garnett have worn the number 5 playing basketball for the Boston Celtics. • In music, the staff, or set of horizontal lines in which music is written, has five lines. • Popular rock bands in the 60s included The Dave Clark Five, The Jackson Five, and the Fifth Dimension; Today, Five for Fighting, Ben Folds Five and The Click Five. Fascinating, isn’t it? Have a great week and keep socking away those $5s. We’re halfway through our month-long challenge to save. Please, leave a comment. 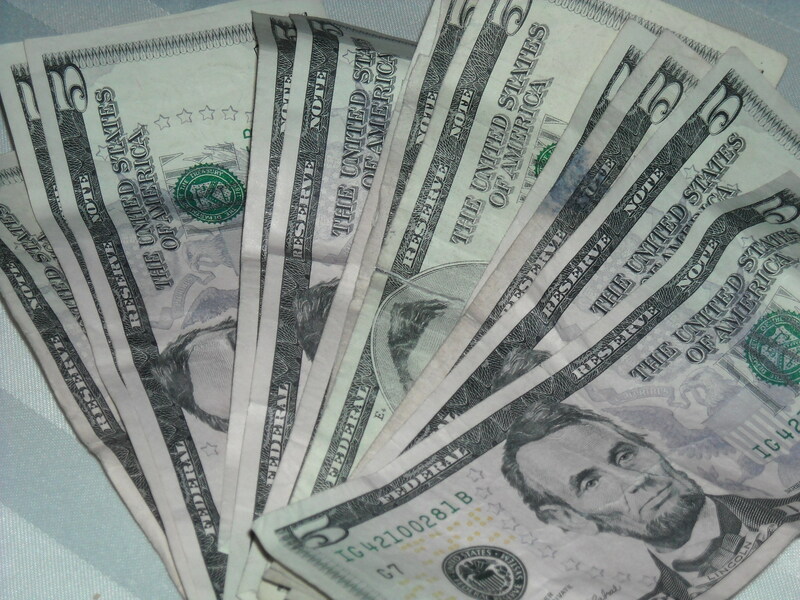 How many $5s have you saved since you began practicing this easy way to save money fast? I’d love to hear from you. Funny, I don’t remember them ever asking me what my favorite number was, but if you asked my daughters that question today, I think they’d know the answer. Their mom’s favorite number is five. 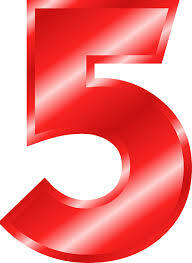 An unwavering belief in the mystical power of the number 5 is a core part of my Save Money Fast With Fives plan. At first, when I started saving my $5s, I was skeptical about its power to make me rich over time. 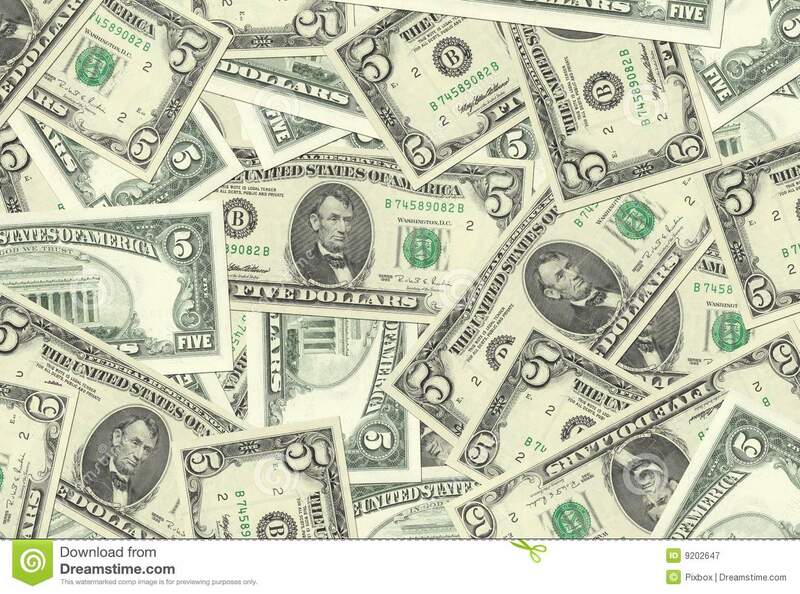 But as my stash of $5s grew, my fascination with, and research on, the number 5 increased. There was compelling evidence that the number was important. Consider the following. According to the ancient numerology of the ancient Discordian religion, the number 5 is linked to everything in the Universe. The Law of Fives states that all things happen in fives, or are divisible by, or are multiples of five. The ancient Chinese philosophy feng shui emphasizes the five elements of life—wood, fire, earth, metal, and water. When you think about it, 5 is everywhere, in religion and culture, sports and entertainment, science, and more. The number 5 even creeps into our everyday expressions. Consider these: We high-five our friends when things are good. The most luxurious hotels are rated 5-star, and we ‘take five’ when we wish to rest up before tackling a problem. If you’re intrigued by numerology, or simply ready for new information to help you save money, I hope the power of the number five will inspire you to save your $5s. In my next post, I’ll give lots of examples of the number 5 as it shows up in sports, religion, science and more.